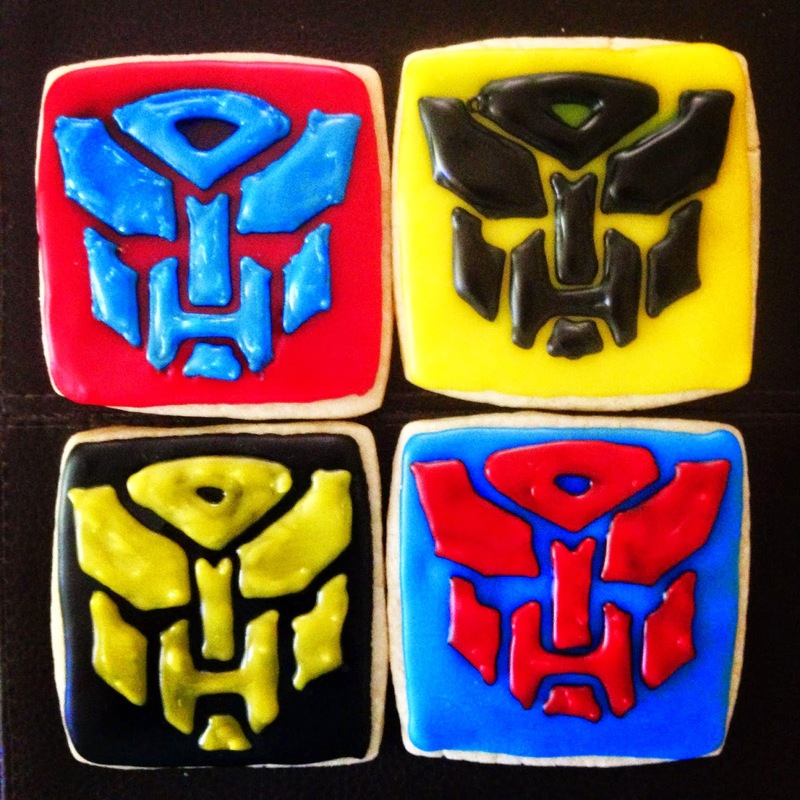 this week's cookies have been...challenging. heh. 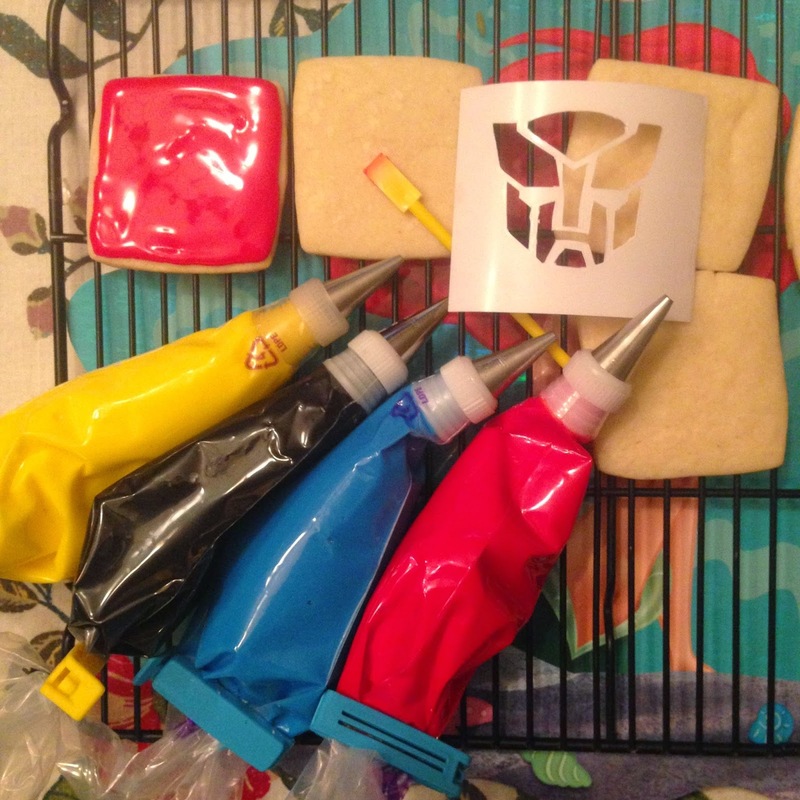 i thought i'd give stenciling with icing a try on some transformers cookies that i was doing for the first time. 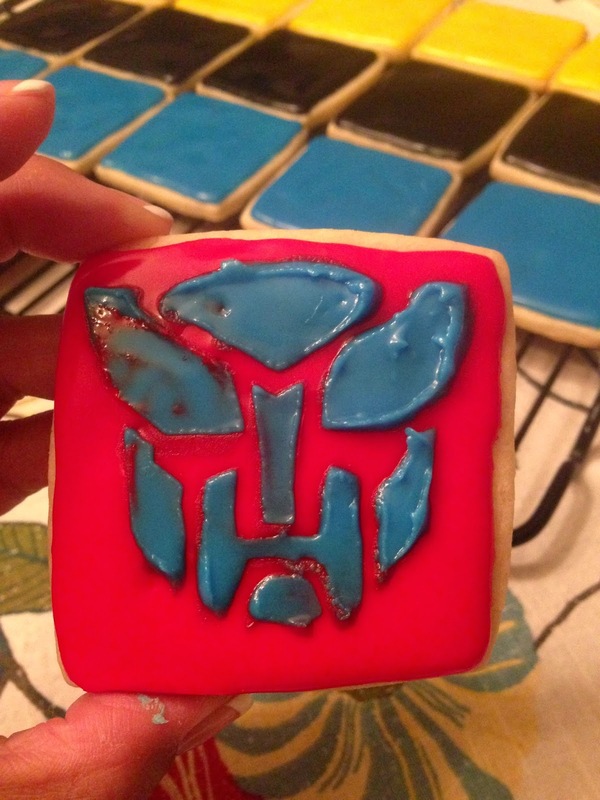 so with my handy dandy new die-cutting machine, i created an autobot stencil, got my frosting ready, and went to work. i let these dry for a little while before my first try. not good. for one, the base hadn't dried completely and i didn't have time to wait. and then it just didn't work very well with the glaze icing that i use. i refuse to switch to royal icing because i hate the way it tastes, so i had to go to plan b: the airbrush. i managed to get through the whole tray, painstakingly following the lines of the design using frosting tips and toothpicks. 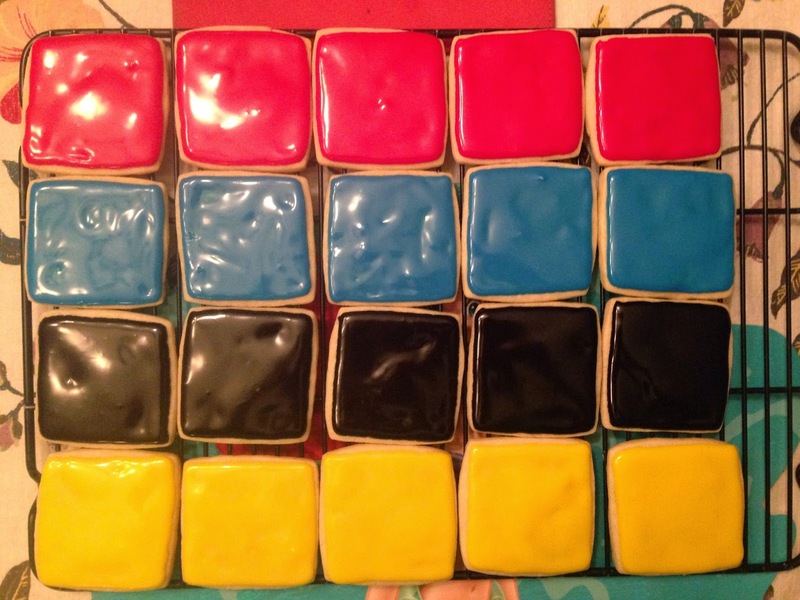 the black cookies were harder though, since i didn't have an airbrushing color that would show up. i had to freehand them, and while they look a little tragic to me, i suppose they're okay. 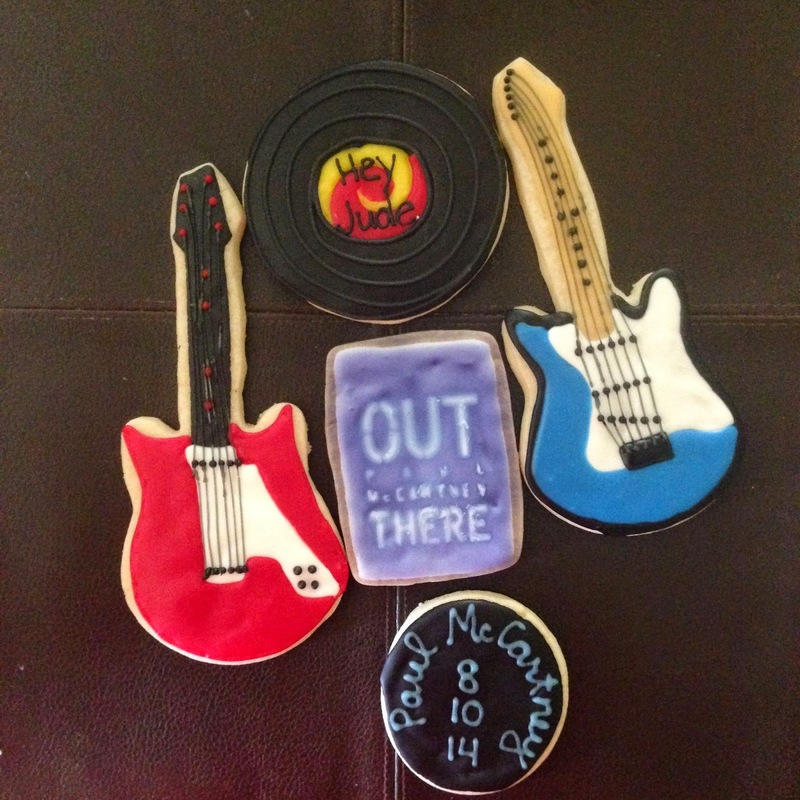 i was asked a few weeks ago to make some cookies for a huge fan of paul mccartney who's attending his upcoming show at dodger stadium this weekend. 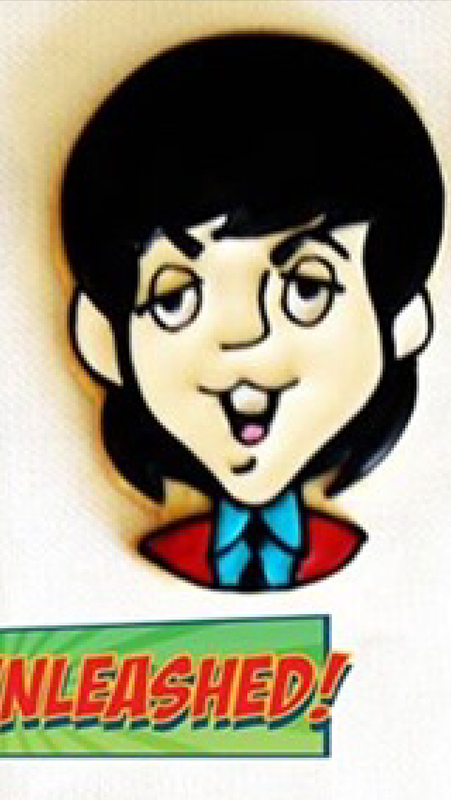 i'd skimmed the email and at first thought she was actually bringing them TO sir paul. after i freaked out for a second at the idea, i read it more carefully and realized she was going to be in one of those awesome VIP suites for the concert and wanted to give them out to her fellow attendees. 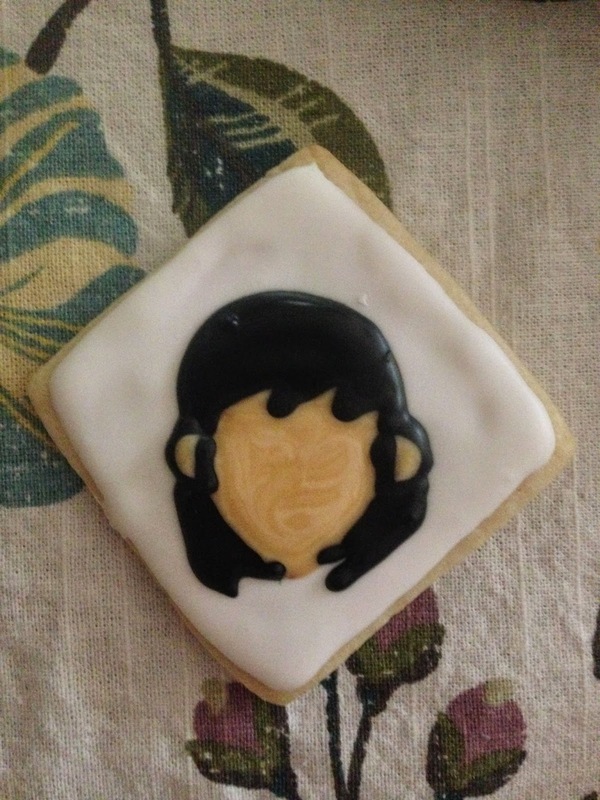 she sent me this and asked if i might be able to recreate it on a cookie. now, you guys know i'm really not that great of an artist. 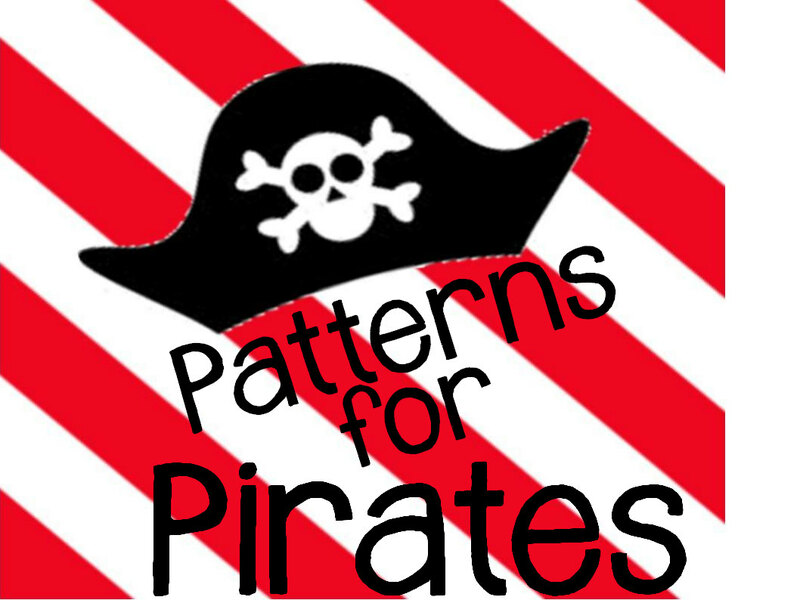 most of my faces are super simple - we're talking two dots and a curvy line in most cases. but for some reason i was feeling confident and decided that yes, i could do that! i mean, the lines seem easy enough to follow, right? and i could just create a stencil out of that drawing. uh...no. i couldn't get the stencil right, and freehanding it resulted in...well, this. no. 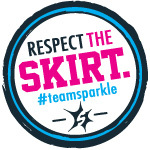 just no. not even close. i worked for hours and hours trying to figure out how to get it right, and finally i just had to do something i absolutely despise: i gave up. 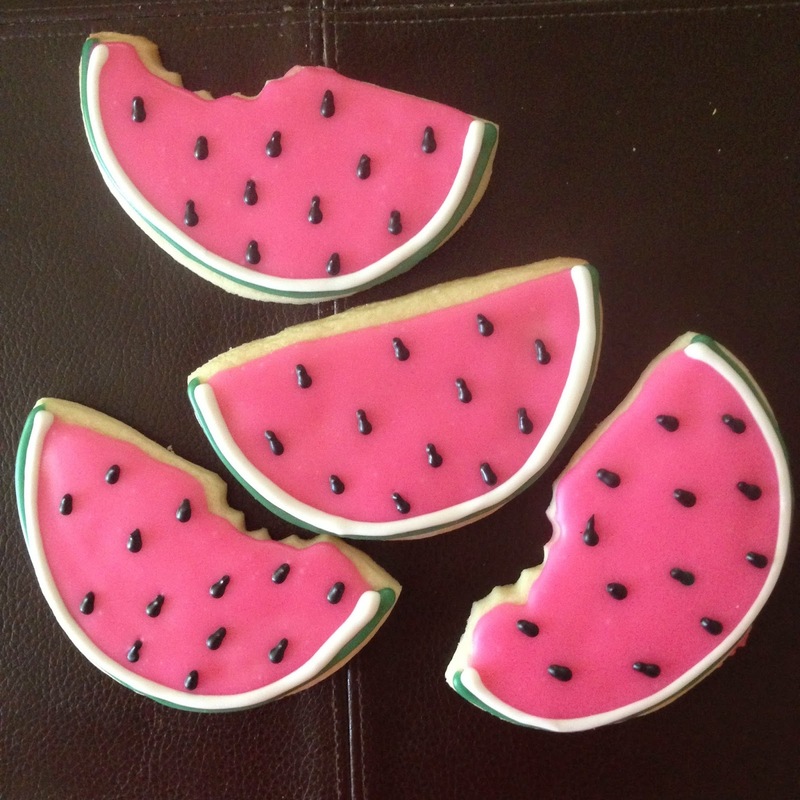 i worked on the other cookie designs we'd decided on, sent her an apologetic email, and slumped over in defeat. 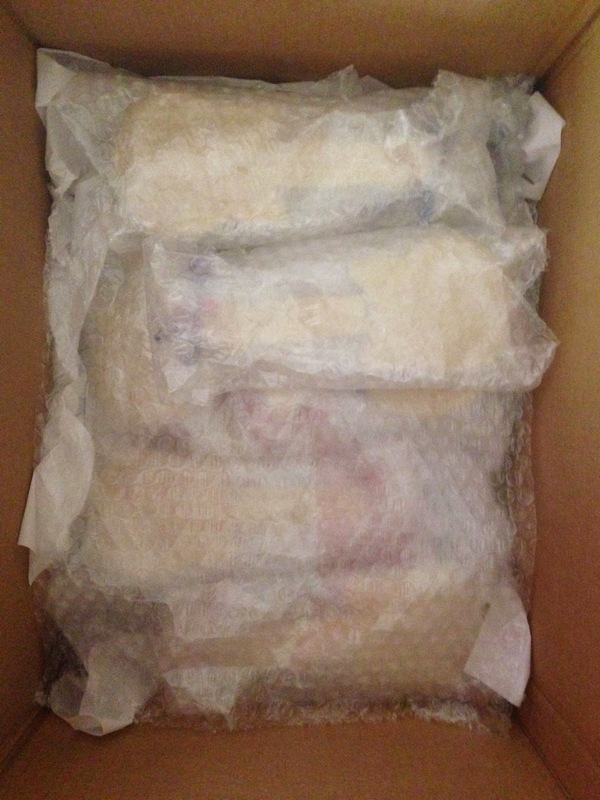 the other obstacle i had to overcome was shipping. see those long, skinny necks on the guitars? yeah, those have MAJOR potential for snapping right off with very little effort. not to mention, they were too big even for the largest size cookie bag in my inventory. i ended up having to double-bag them and then wrapped them individually in a piece of bubble wrap. i laid them flat atop a sheet of air pillows and used more bubble wrap and tissue than i've ever used in a single shipment. it should arrive today, so send over some happy unbroken cookie vibes, yeah? 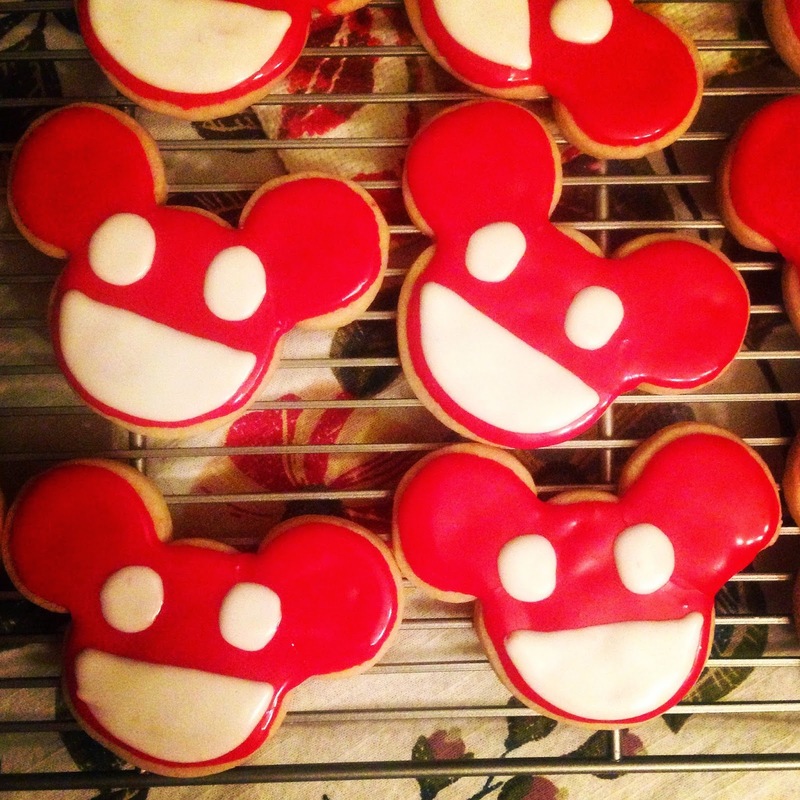 and these deadmau5-themed treats. it was funny trying to explain to the bean that they weren't supposed to be mickey mouse and yes, that's how they were supposed to look. oy vey. i have more cookies to do next week. i'll probably have to buy a box of nice & easy to cover the grays i grew from all the stress of this week. heh.